Isang kilalang Facebook page ang nag-post sa social media kung anu ang katotohanan sa likod ng People Power Revolution 1986. Isiniwalat rin nito ang mga sinabi at mga ginawa sa unang presidential order ng dating Pres. Cory Aquino, na pakawalan sa kulungan ang communist leader na si Jomari Sison, na sinasabing best friend ni Ninoy. The yellow mythology presents Cory Aquino as saving the Filipinos from the tyranny of the Marcos dictatorship. That’s only half the story. The other half of the story is that the EDSA faux revolution is a case of Filipinos jumping from the frying pan and into the fire. Cory’s first Executive Order was the creation of the Presidential Commission for Good Government (PCGG) to get the Marcos wealth. Separately, her nephew, Conrado “Dodie” Limcauco of PTV 4, headed the Marcos Wealth Recovery Program to comb, and comb clean, the Central Bank. It was certainly not Marcos, who looted the Central Bank, ask Dodie! On the other hand, first PCGG Chairman Jovito Salonga, close friend of Ninoy and Jomari, headed and bungled OPLAN BIG BIRD. Swiss Bank Corporation in Zuerich, Switzerland, showed him the Marcos Instructions for some few trillions of dollars in accounts with Citibank, Chase Manhattan, and Bank of America, all in New York. Ayaw nila. “I don’t want Marcos to look good.” That was what Cory told him on the phone. “Filipino people? 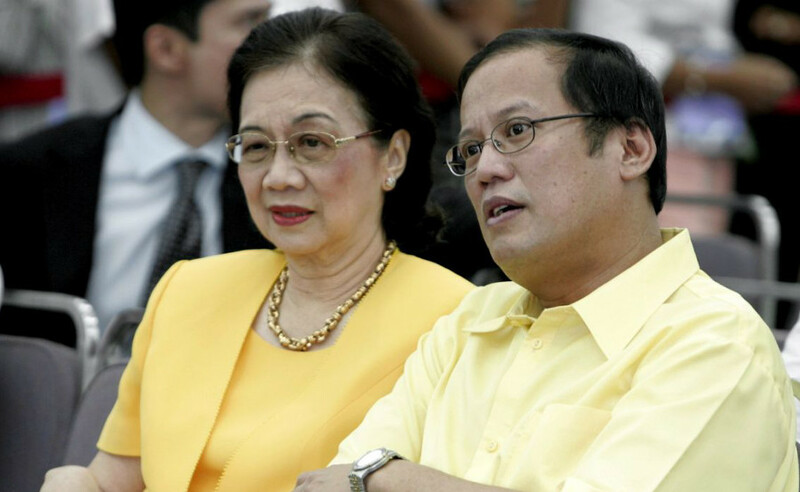 Bahala sila!” So, Salonga came home empty-handed. The 21 accounts are still there, close to $7Trillion now. 20% are reserved for the Filipino people, but the Filipino people don’t know, don’t believe. They believe in the lord and the virgin, courtesy of our foreign colonizers. Kasi, sabi ni Cory. Blessed are the poor. Hallelujah!